It’s no secret that college costs have risen dramatically in recent years. Setting up an education savings program as early as possible can help you manage the ever-rising costs of post-secondary education for your children or grandchildren. Two types of college savings vehicles — qualified tuition programs, also called Section 529 plans, and Coverdell education savings accounts (ESAs) — offer income-tax benefits. Most states offer some form of 529 plan. There are two types of programs — prepaid tuition programs and college savings plans. Prepaid tuition programs let you lock in today’s tuition rates by purchasing credits or units of tuition in “today’s dollars” for your children’s use when they actually attend college at some future date. Typically, the units purchased are based on the average public school tuition rate in the state offering the plan. Generally, you may purchase amounts of tuition through a one-time, lump-sum purchase or monthly installments. 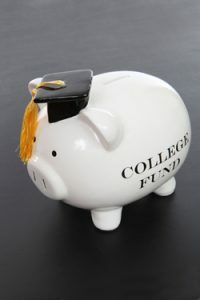 College savings plans, however, are the more common type of 529 plan. Minimum contribution requirements are generally very low. Once an account is set up, you typically may choose among several investment options. For federal tax purposes, earnings on 529 plan investments accumulate on a tax-deferred basis. Distributions used to pay qualified education expenses* are excluded from taxation. 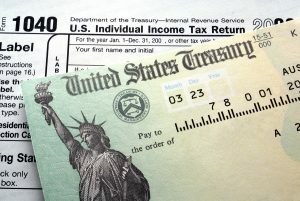 Many states also exempt earnings and distributions from income taxes, and some even allow a deduction for contributions. Certain state benefits may not be available unless specific requirements (e.g., residency) are met. You can establish an ESA at a bank, brokerage firm, insurance company, or other financial institution. ESAs are self-directed and must be funded with cash. Subject to income limitations, you can make nondeductible contributions of up to $2,000 per year to ESAs for each child younger than 18 years old (and for special needs beneficiaries of any age). Your eligibility to contribute to an ESA is phased out with adjusted gross income (AGI) from $95,000 to $110,000 if you are an individual taxpayer or from $190,000 to $220,000 if you are a married taxpayer filing a joint return. ESA distributions that are used to pay qualified education expenses are not subject to federal income taxes. Qualified education expenses include not only tuition and fees, but also books and supplies and, for students enrolled at least half-time, certain room and board charges. In addition to undergraduate and graduate-level education, ESAs can cover elementary and secondary public, private, or religious school tuition and qualified expenses.